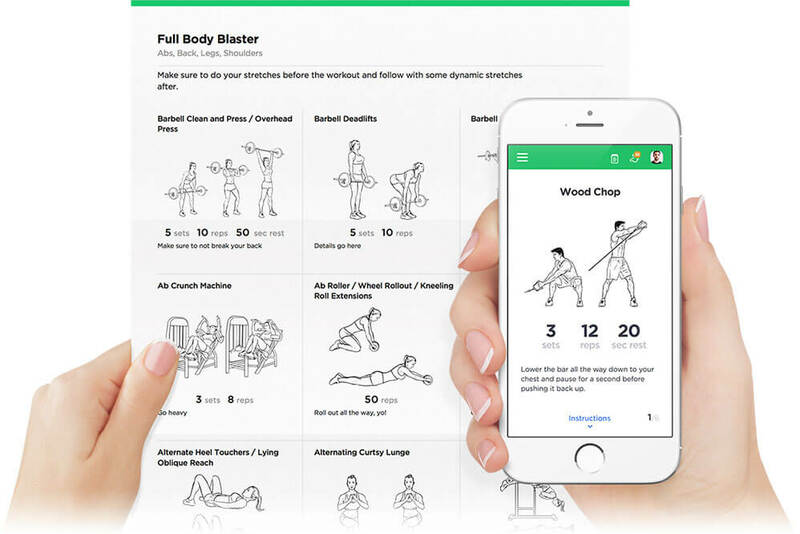 Containing a variety of workouts built up of circuit, sculpting, loosening, high and low intensity exercises, this plan never has a dull moment, except for when the workouts are over. The start of each week brings new challenges and the end of each week meets new goals. With the Total Body Toning plan, three things are guaranteed: sweat, fun and results. Start out each workout by loosening up the entire body with one of our warm-ups. The Full Body Dynamic Warm Ups will do great. Once the workout is complete, take a few minutes to reminisce, rehydrate and cool down with the Full Body Post-Workout Cooldown routine. Each workout progressively challenges your body. Though all workouts are slightly different, some will be similar. Take the opportunity with these similar recurring workouts to improve exercise speeds, repetitions and increase the weight load used. It’s all a part of progression! Be sure to review exercise instructions, they come in very handy when attempting new exercises. They’re also very important in injury prevention. No one needs and injury during a fitness plan. Aim to drink more water than usual. Partaking in physical fitness increases the demand for that wonderful life liquid we all know and love. Don’t be scared to go through 1 or even 2 quarts while training.